DULLES, Va., July 20 /PRNewswire/ -- Orbital Sciences Corporation (NYSE: ORB) announced today that it successfully launched a Minotaur rocket for the U.S. Air Force in a mission that took place late yesterday afternoon from Vandenberg Air Force Base, California. The Minotaur rocket, which is the most recently developed U.S. space launch vehicle, carried the Air Force's MightySat II satellite, a small spacecraft platform built for the Department of Defense Space Test Program and the Air Force Research Laboratory (AFRL). The satellite is host to an imaging instrument, a Fourier Transform Hyperspectral Imager, and a variety of advanced AFRL space technology experiments, such as a solar array concentrator. At approximately 4:09 p.m. (EDT), the Minotaur rocket's first stage engine ignited and about 11 minutes later, the MightySat II satellite was deployed into a 297-nautical mile (550-kilometer) circular, sun-synchronous orbit inclined at 97.6 degrees to the equator. Initial communications with the 263- pound (120-kilogram) satellite indicate that all systems are operating as planned. 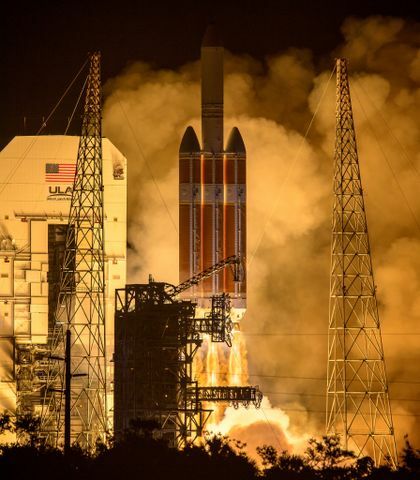 "The launch of the Minotaur rocket adds another success to the growing list of space missions that Orbital has carried out for the Air Force," said Mr. Ronald J. Grabe, Orbital's Executive Vice President and General Manager of its Launch Systems Group. "In just the last two months alone, we have successfully conducted three rocket launches and one satellite deployment for the Air Force. In addition to today's successful launch of the Minotaur rocket, Orbital launched the TSX-5 satellite, which we also designed and built for the Air Force, aboard our Pegasus rocket in June. We also conducted the successful demonstration launch of the new OSP target launch vehicle for the National Missile Defense initiative at the end of May," Grabe added. The Minotaur launch also marked Orbital's 300th space mission, ranking the company among the world's busiest commercial space operators over the past decade, when the majority of its missions took place. 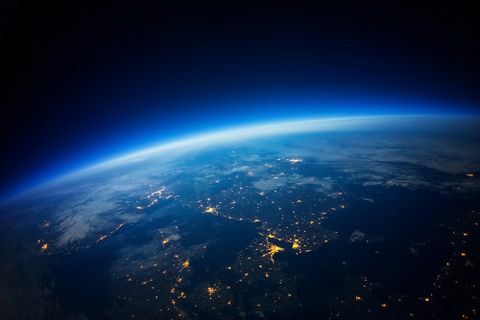 Orbital has now conducted 140 space and suborbital rockets launches; has designed, built, delivered and launched 87 low and geosynchronous orbit satellites; and has carried out 73 other space missions with its robotics, sensors and other space payloads. In addition to the frequency of Orbital's space missions, the company has also established one of the commercial space industry's best records for operational reliability. Yesterday's launch of the Minotaur rocket was the company's 88th consecutive successful space mission dating back to January 1997. 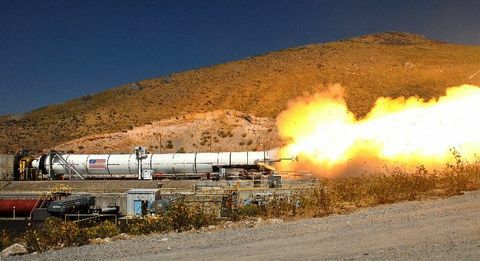 Orbital developed the four-stage Minotaur rocket for the Air Force's Orbital/Suborbital Program (OSP) using U.S. Government-supplied Minuteman II motors that have been decommissioned as a result of arms reduction treaties. The deactivated rocket motors serve as the vehicle's first and second stages. Its third and fourth stages, as well as its guidance and control system, use technology from Orbital's highly reliable Pegasus XL rocket. Orbital is under contract to the Air Force to provide integrated launch vehicles and to perform launch operations to deliver small satellites to orbit.